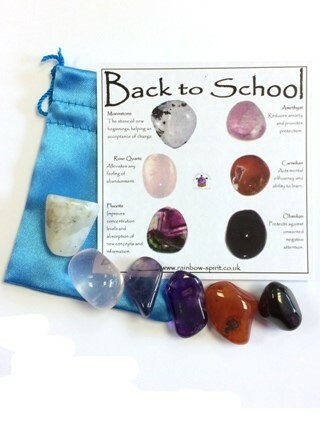 A set of crystals (Moonstone, Rose Quartz, Fluorite, Amethyst, Carnelian and Obsidian), carefully selected to complement each other and to provide support for children going back to school at the beginning of an academic break, long summer holidays or after a period of absence. 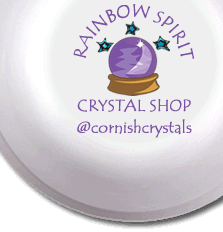 The set includes the six stones and a pouch, and comes as a set with information to explain each stone. This is one of our 'stock' items, so the photograph is an example of the set we will put together for you.